There are certain elements that should appear in most web pages. Title which contains the keyword phrase for the web page. Meta Description (hidden) with a short description of the web page. This is often used by search engines for the description shown in search results. A H1 main heading that includes the keyword phrase for the web page. The keyword phrase appearing in the first or second paragraph in the web page. An optional image with a ALT text description that includes the keyword phrase. Social media sharing links for the web page. You could also have social media follow links for your social media addresses. CMS do this automatically. Google Analytics tracking or equivalent in each web page. 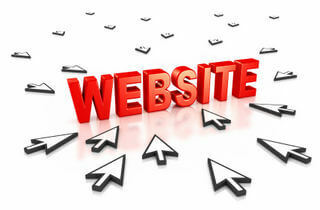 This allows to monitor visitors to page, time on page, visitor origin, visitor link method to your website. etc. CMS do this automatically. Optional ads within the web page or affiliate links. Often the business contact details are in the footer of each web page. Create some links between related web pages on your website. This may already have been done in the menu. A call to action at the bottom of the web page may be a link. Update your website sitemap.xml file (lists all important webpages on your website) with the full URL address of the new web page. This is used by search engines when reviewing your website. CMS do this automatically.